Tent stitch plus a decorative edge. Eight little hearts and a strawberry. 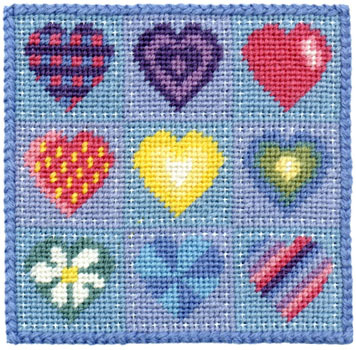 Each square is surrounded by an border of missed stitches giving an unusual quilted look.